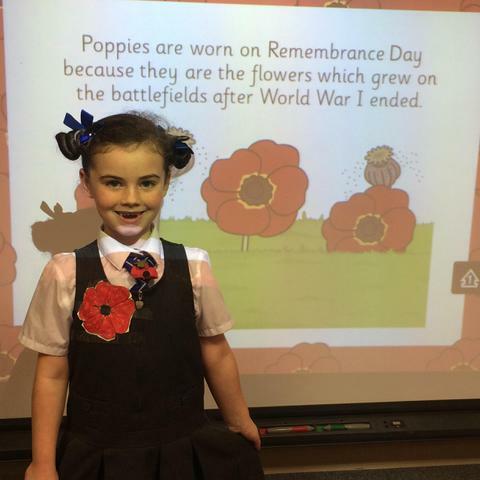 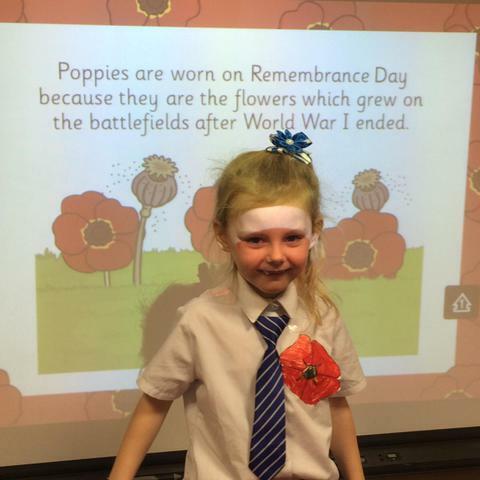 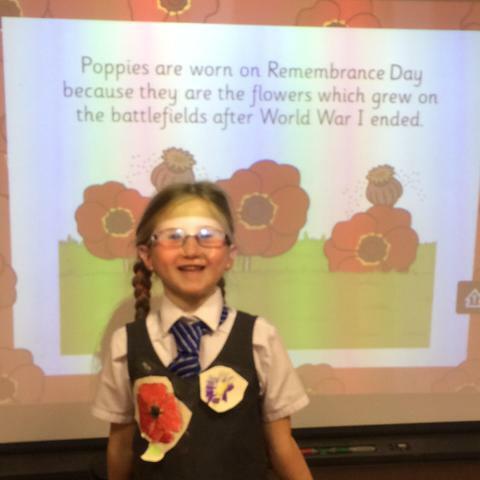 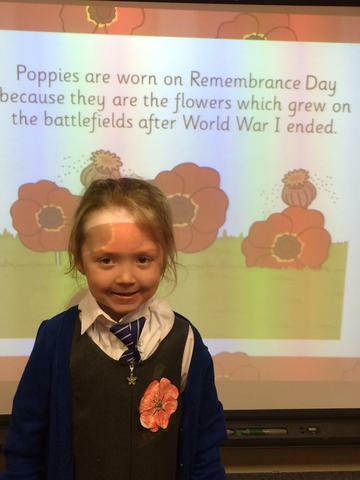 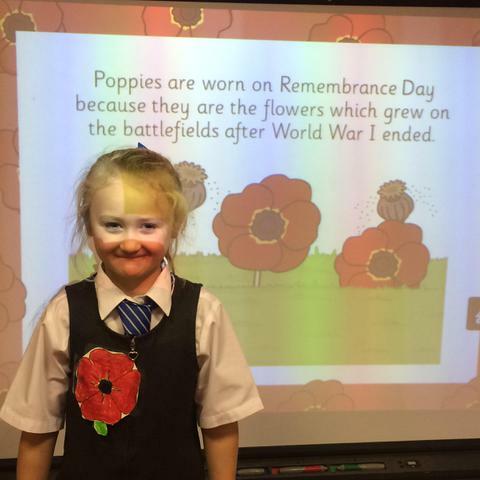 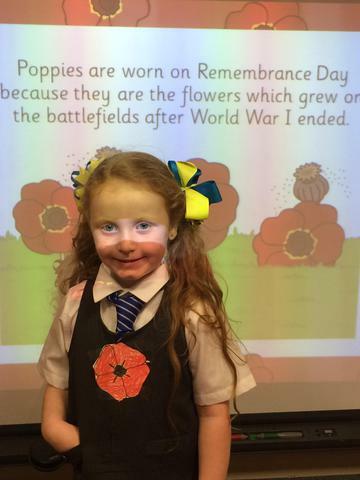 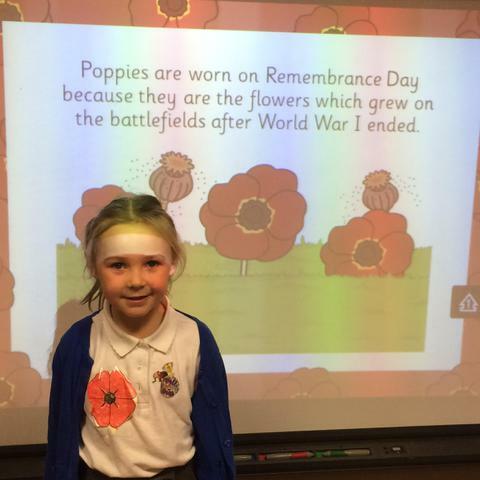 We have been learning all about Remembrance Day. 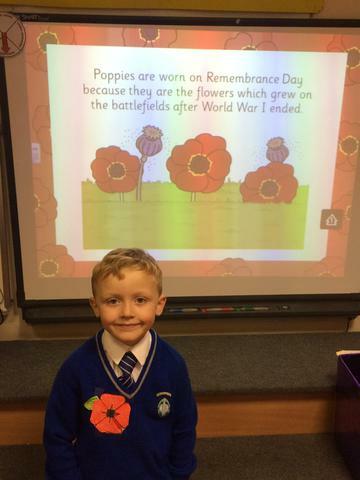 In class we have been thinking all about the soldiers who lost their lives fighting for our country and their families. 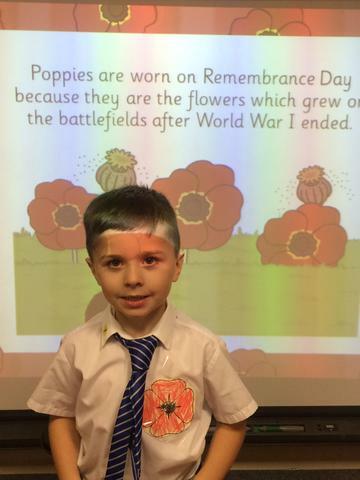 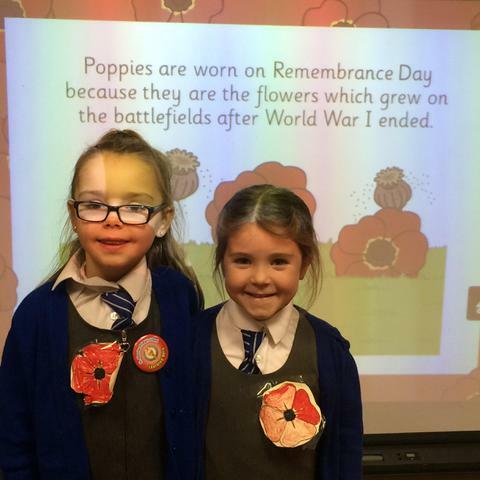 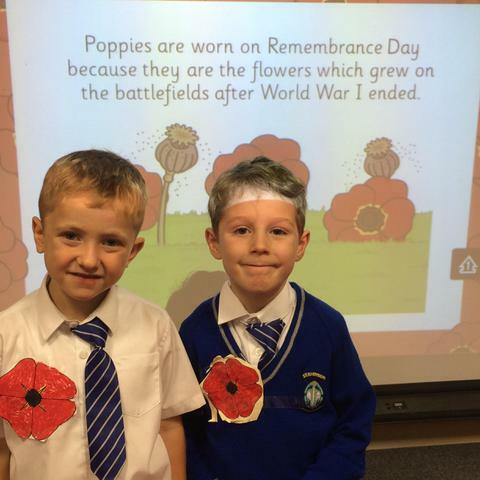 We think it is very important to show respect to the soldiers and decided to make our own poppies to wear. 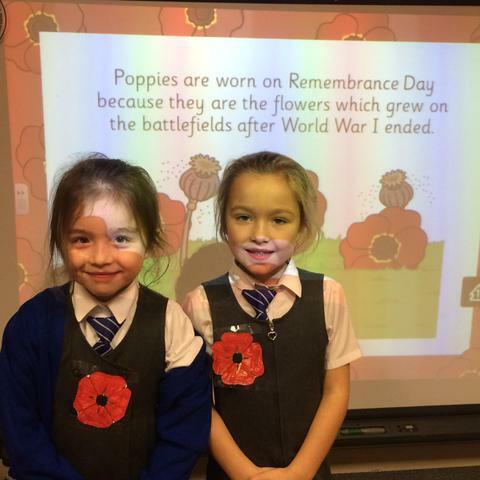 We all tried our very best to make beautiful red poppies. 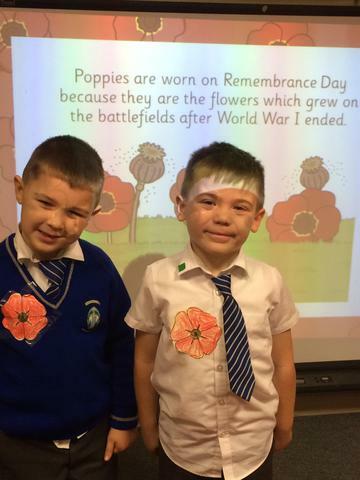 We wore them around school and when we took part in our 2 minute silence.